Spoilers ahead! This writing would be more on pictures and video rather than comments. The moment Loki got counter back from The Hulk. There was an ending scene where it does not show in Malaysia theatres. I have no idea why but here's what I found in Youtube. The Avengers were having shawarma after the battle. 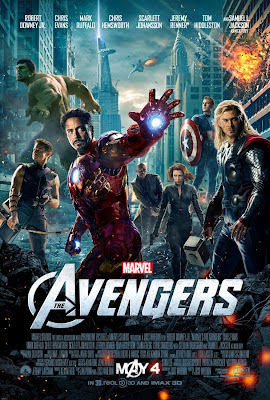 Awesome, The Avengers was just plain awesome. I couldn't agree more that Marvel had done a very good job at their heavy advertising efforts. I wouldn't want to comment anything about it because I enjoyed the movie till the end. It's a movie that you must not miss to watch. Oh yeah, don't leave afer the movie ends, stay until the credits end. P/S: Avengers cartoon, here I come! 1 of ur video has been removed.